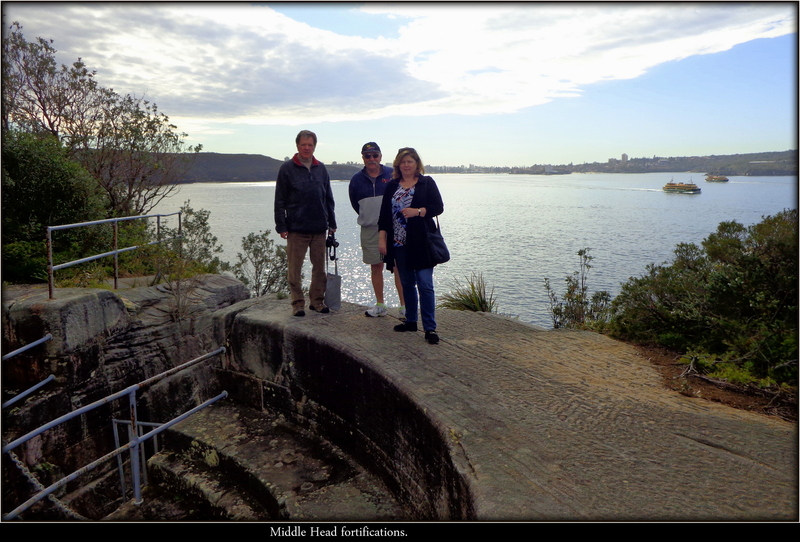 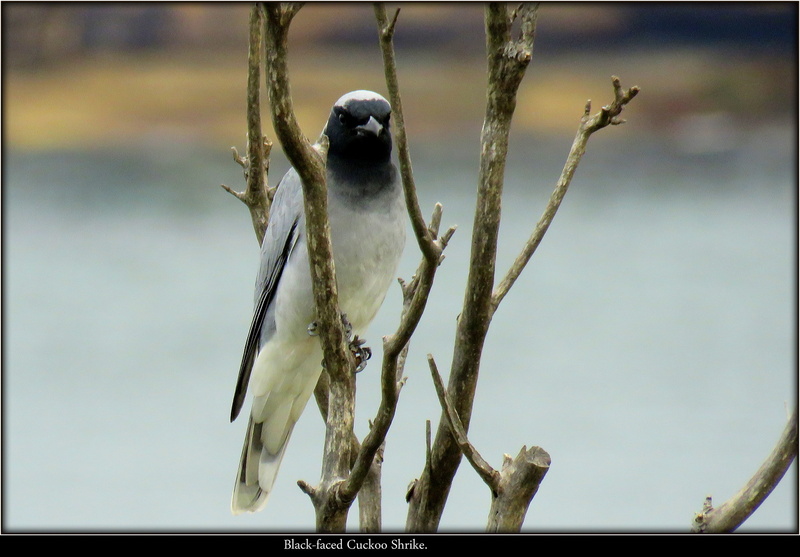 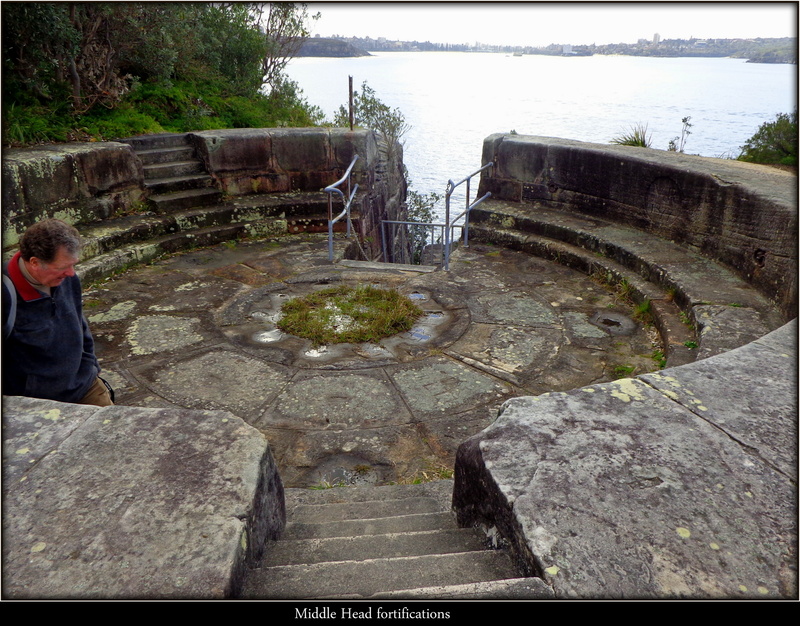 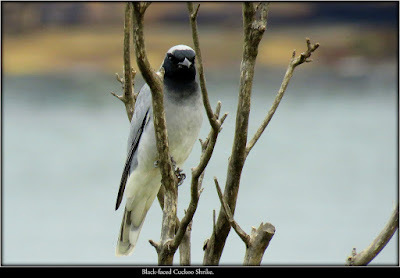 GUMNUTS.....AND OTHER STUFF: Middle Head with Les & Lori. 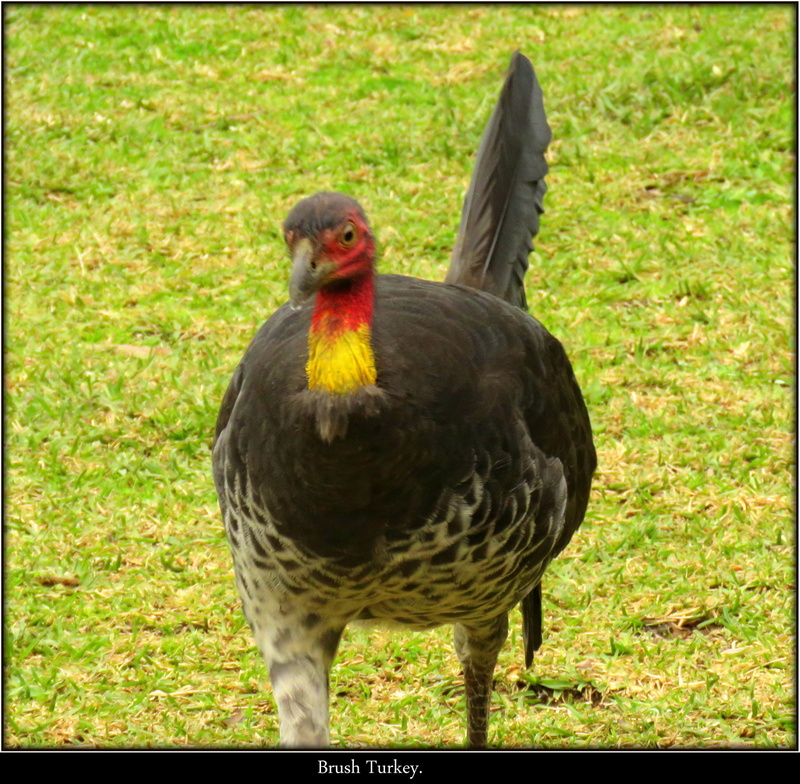 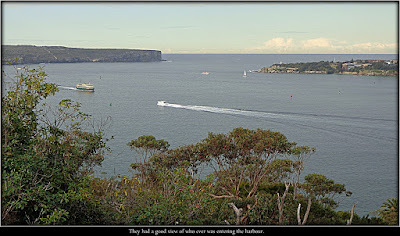 Thanks to Les and Lori for taking us to this historic part of Sydney we hadn't been to before. 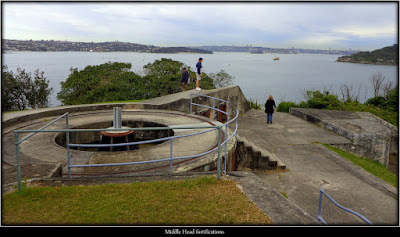 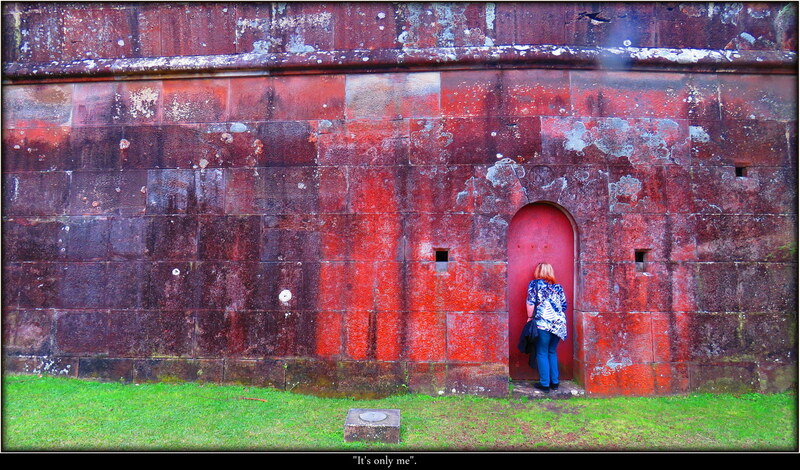 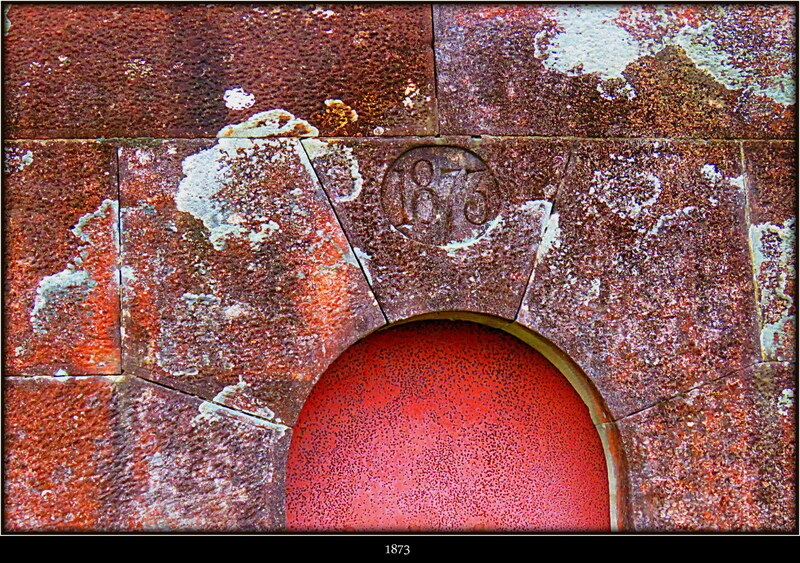 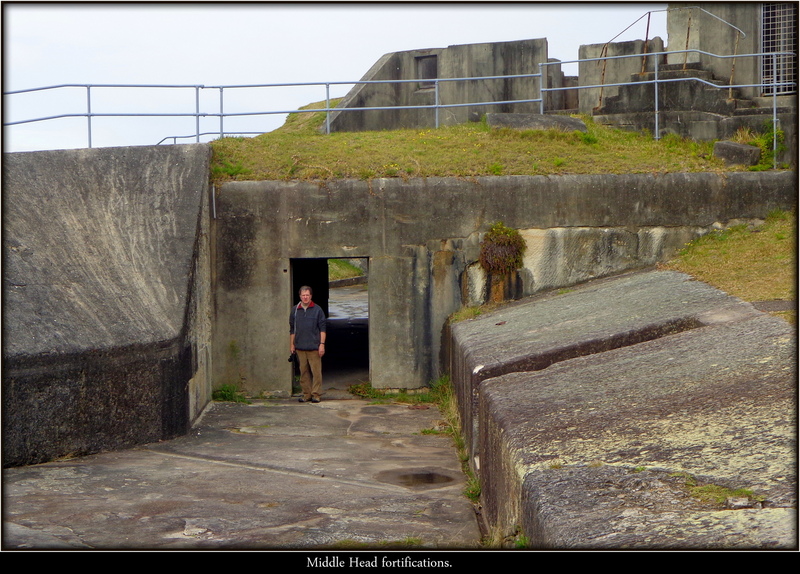 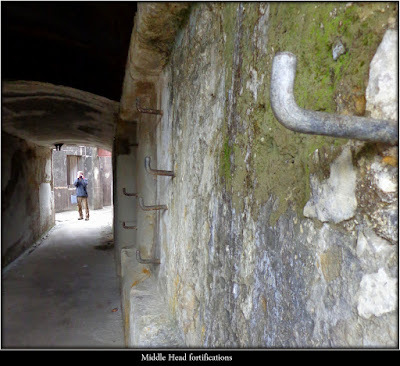 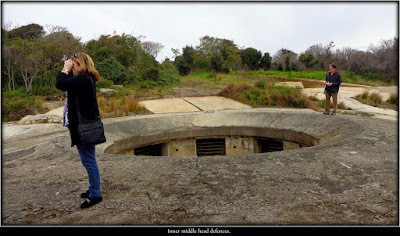 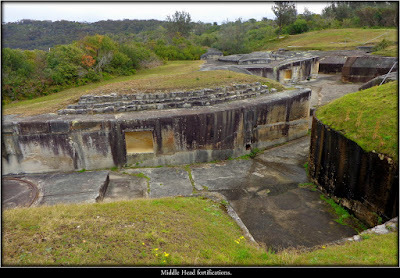 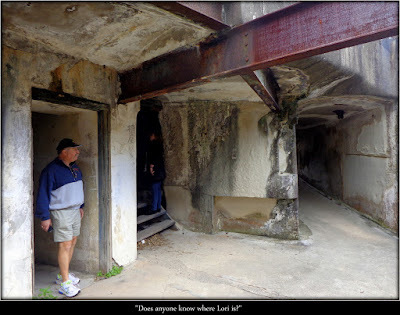 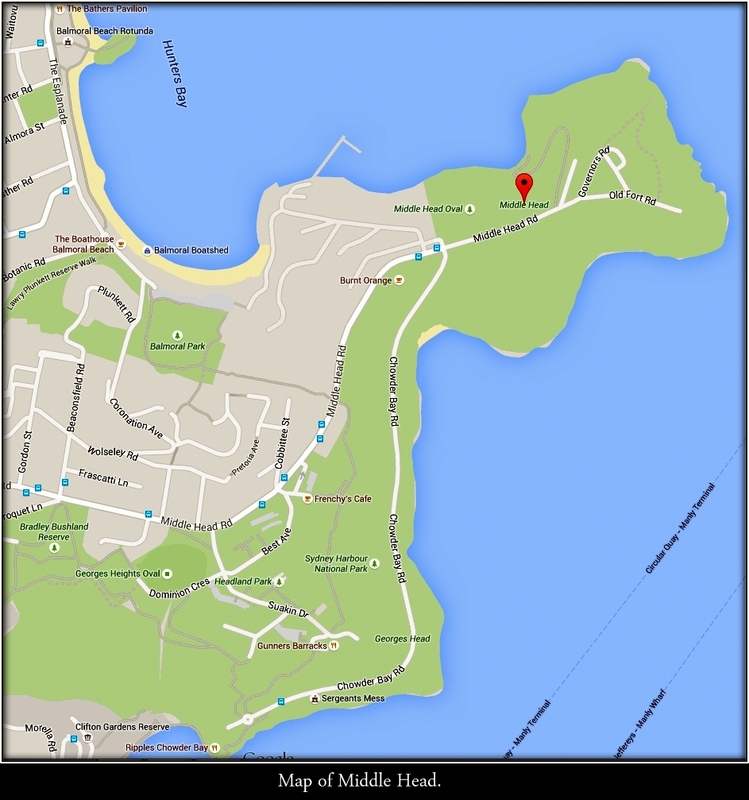 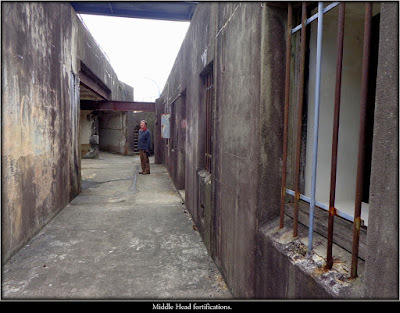 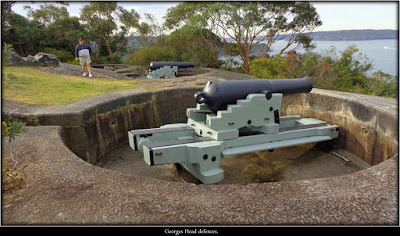 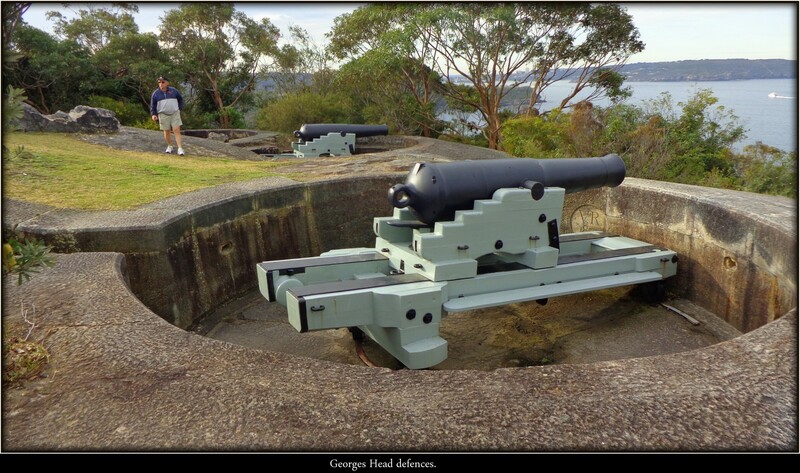 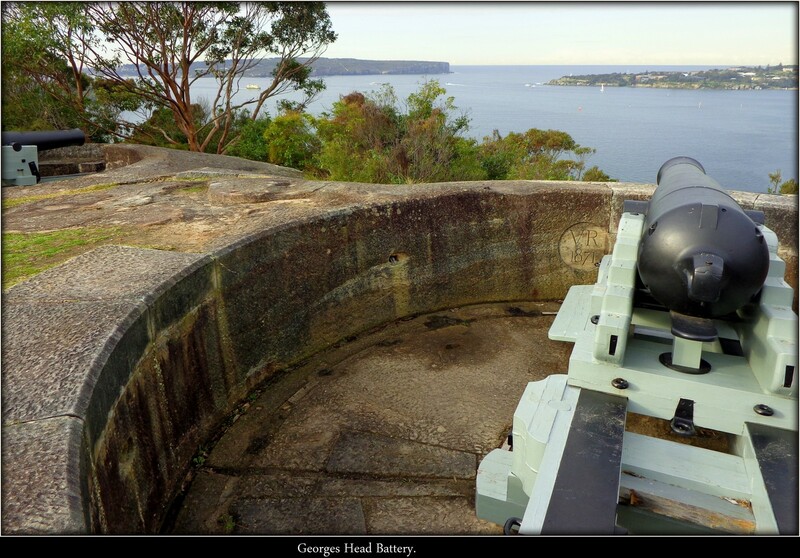 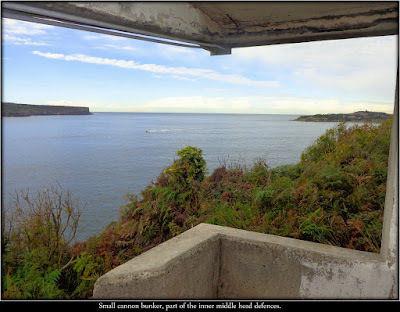 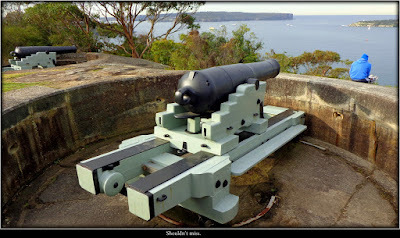 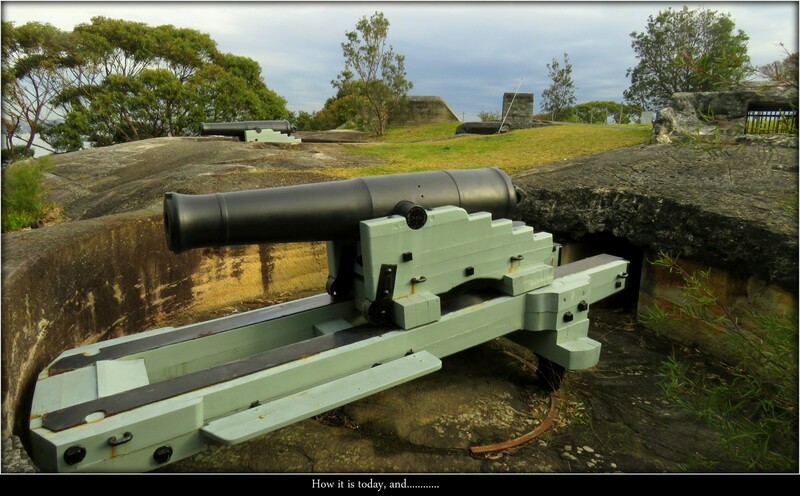 The first fort at Middle Head was built in 1801 and the last batteries were constructed in 1942. The majority of the fortifications were built between 1870 and 1911 (from Wikipedia). "Does anyone know where Lori is?" 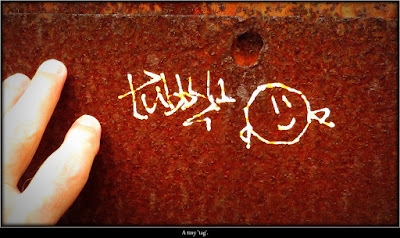 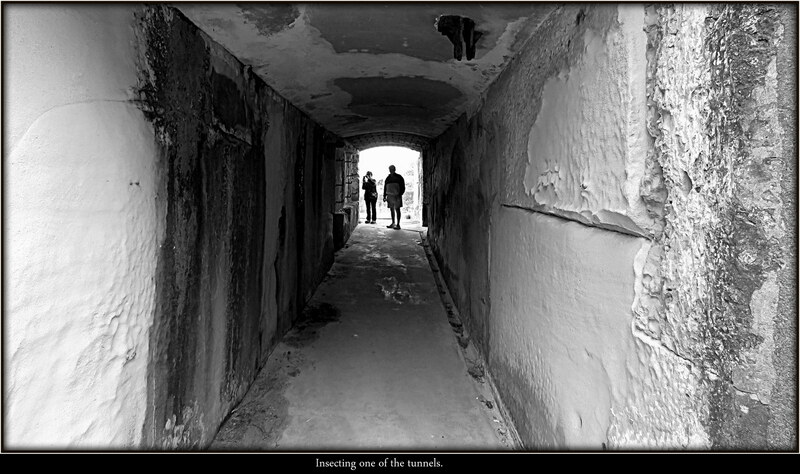 Inspecting one of the tunnels. 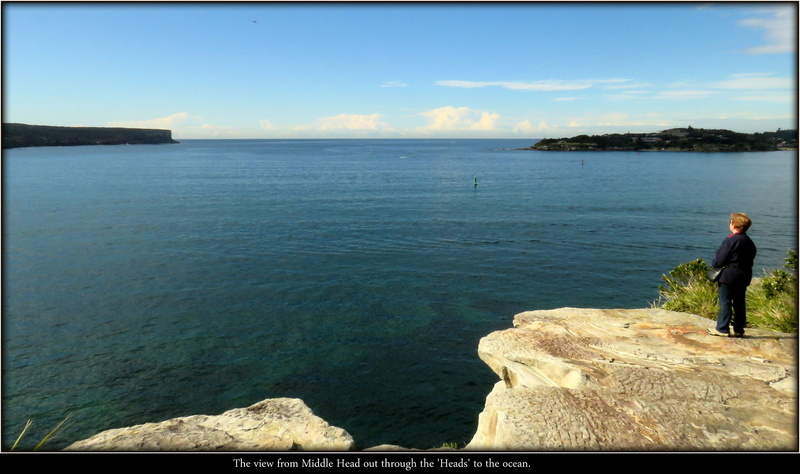 The view from Middle Head out through the 'Heads' to the ocean. The 'sea monster'. 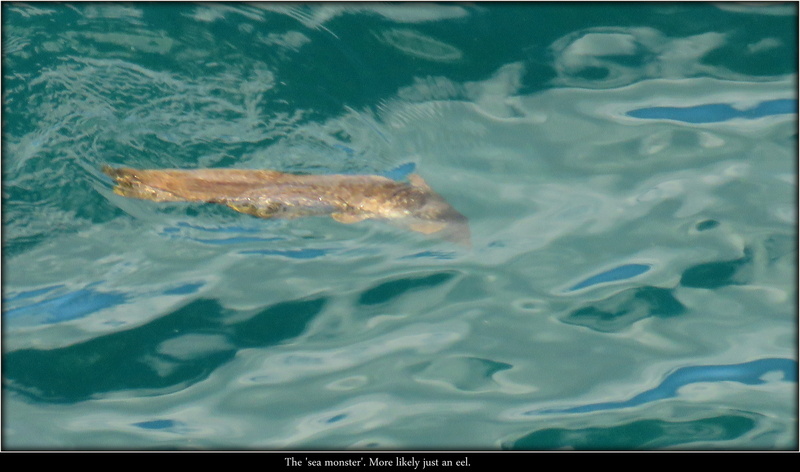 More likely just an eel. 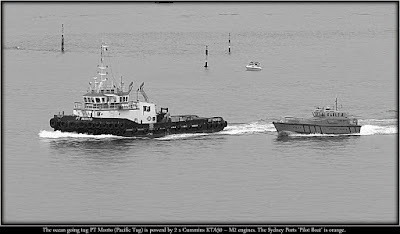 2 x Cummins KTA50 – M2 engines. The Sydney Ports 'Pilot Boat' is orange. 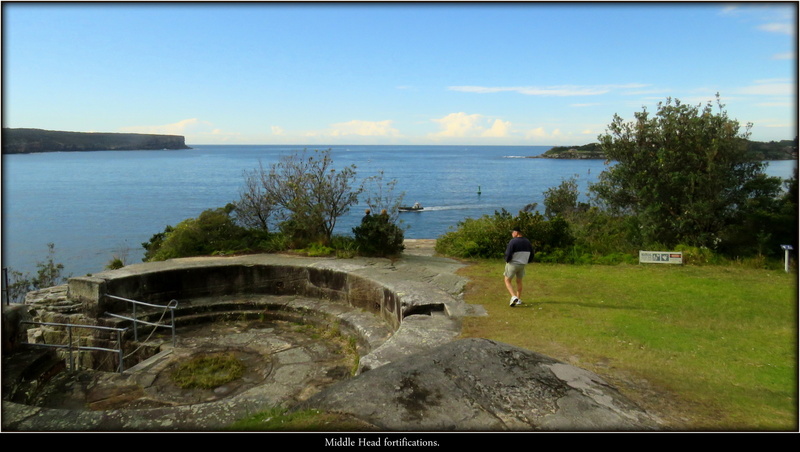 Small cannon bunker, part of the inner middle head defences. 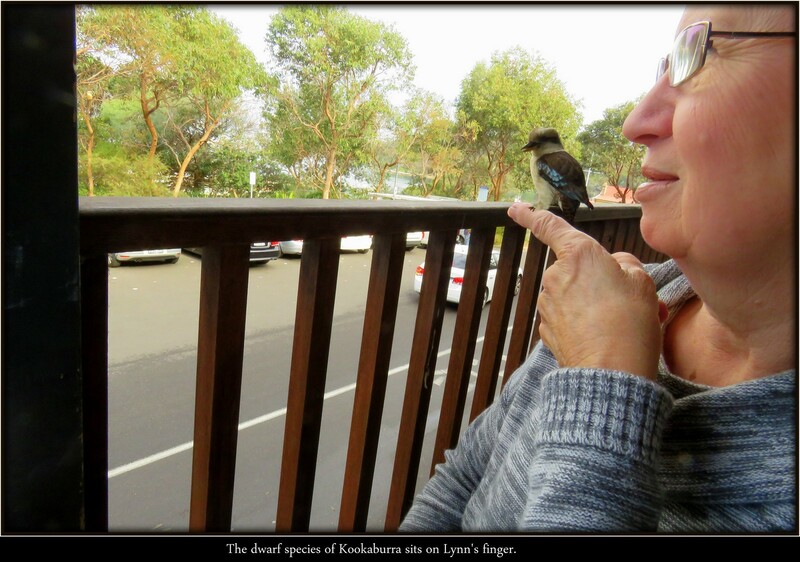 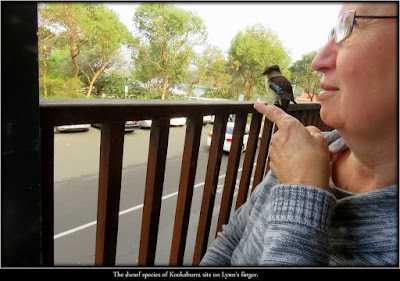 The dwarf species of Kookaburra sits on Lynn's finger. A wild rabbit with a million dollar view. 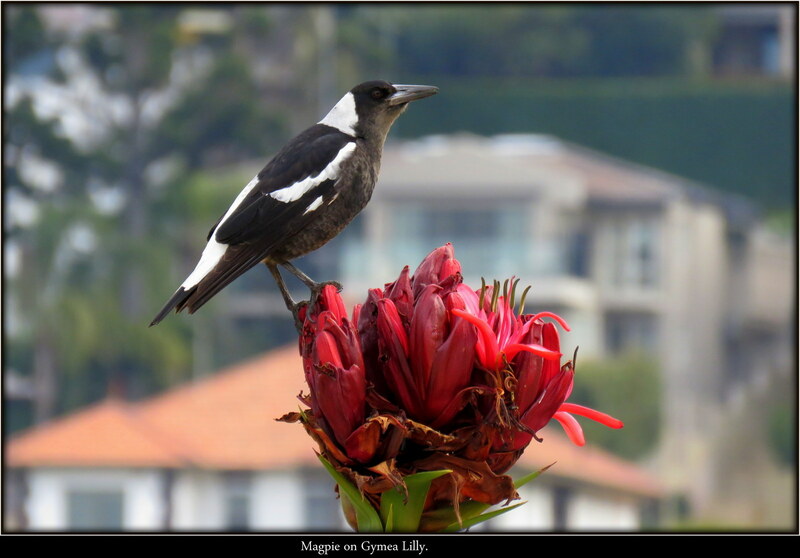 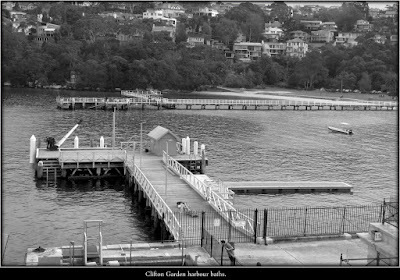 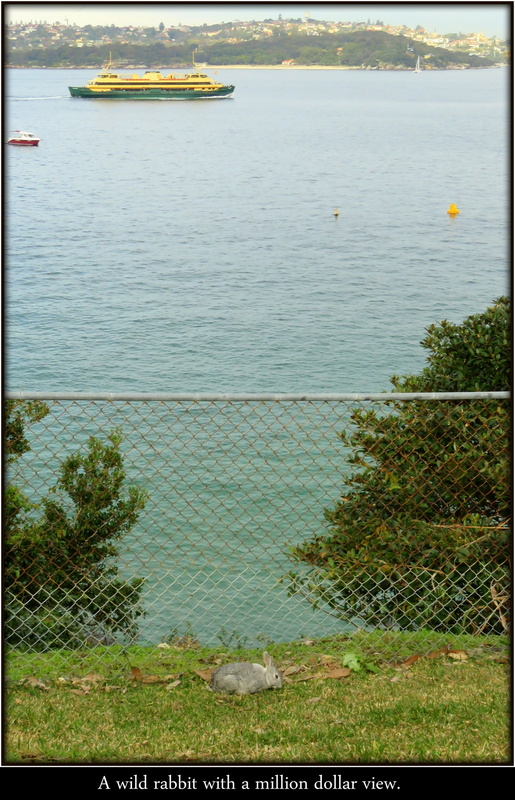 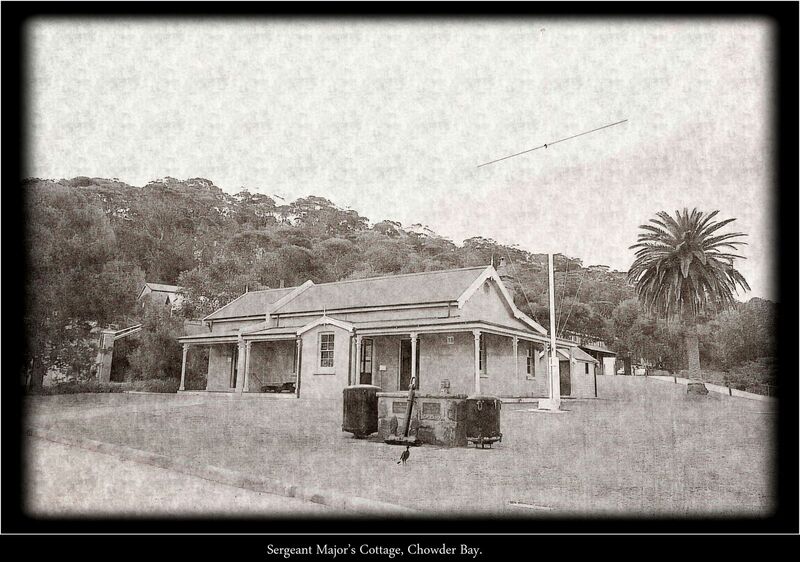 Sergeant Major’s Cottage, Chowder Bay. 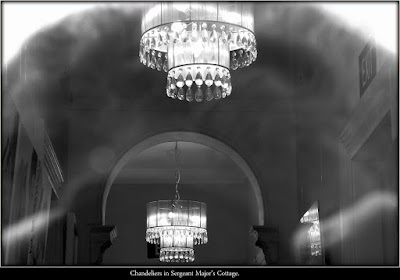 Chandeliers in Sergeant Major’s Cottage. 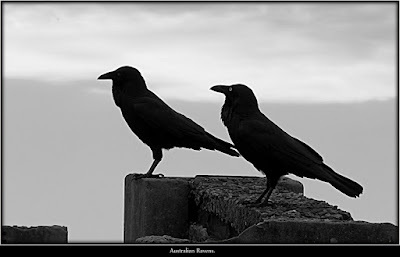 .........when Lynn first visited. 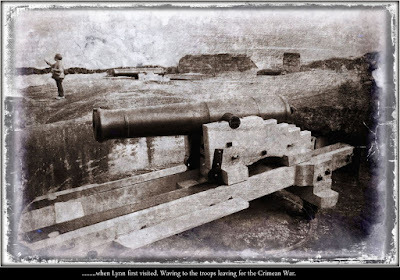 Waving to the troops leaving for the Crimean War. 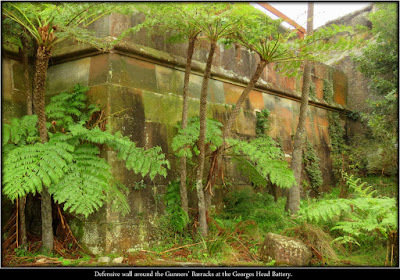 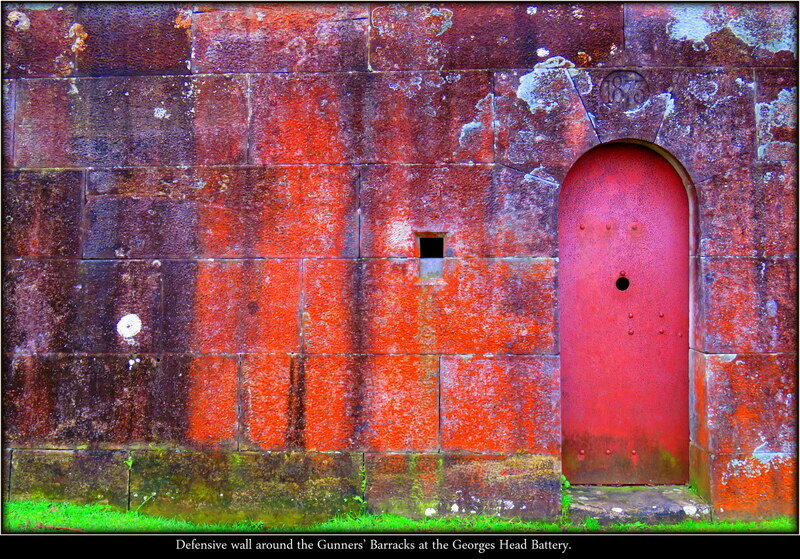 Defensive wall around the Gunners’ Barracks at the Georges Head Battery. Hope it comes out in colour. They had a good view of who ever was entering the harbour. 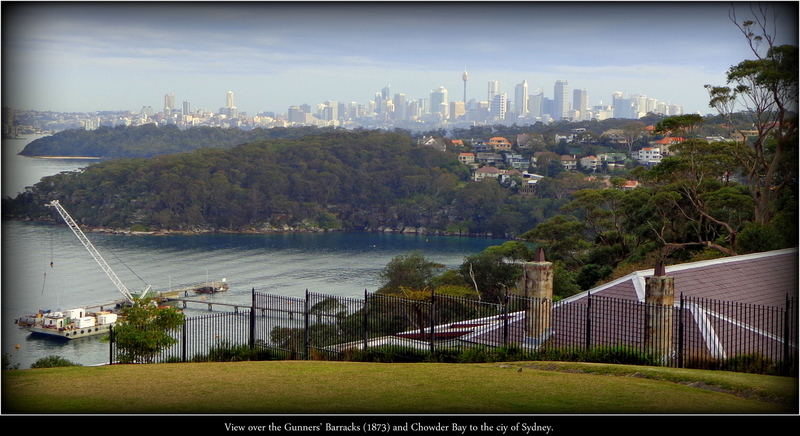 View over the Gunners’ Barracks (1873) and Chowder Bay to the ciy of Sydney. 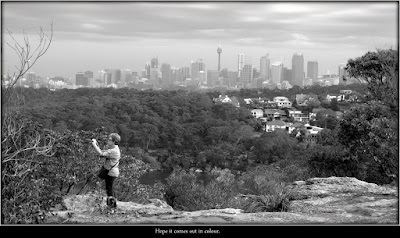 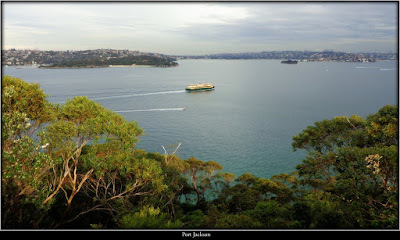 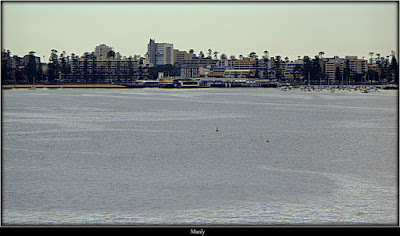 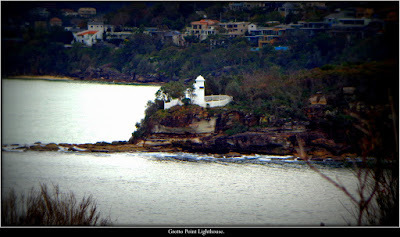 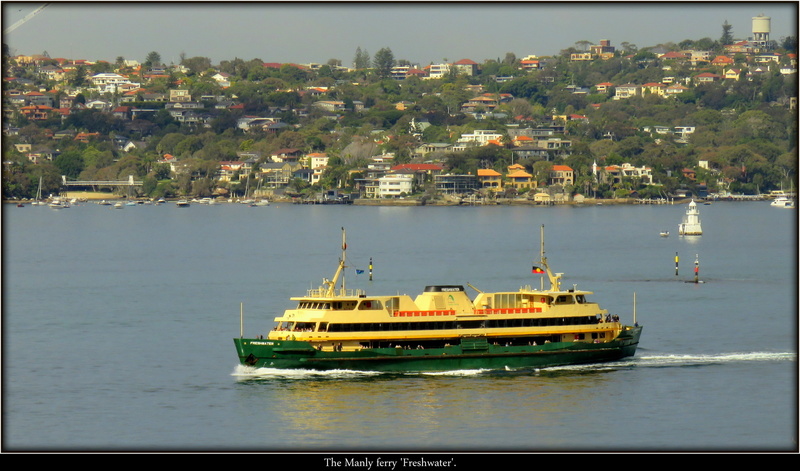 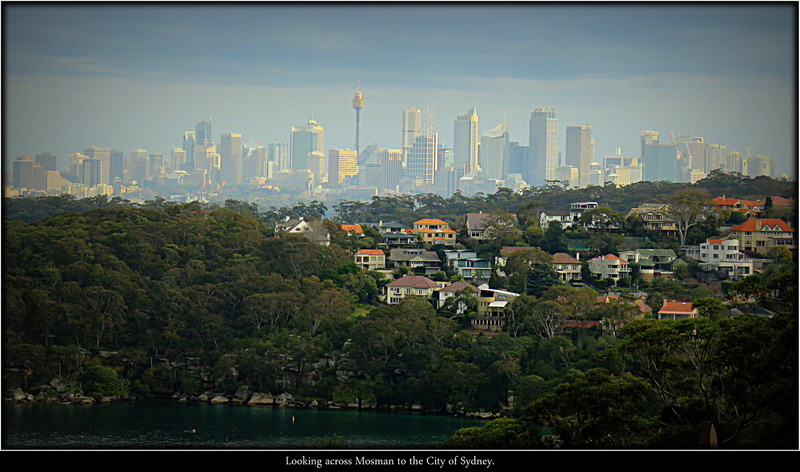 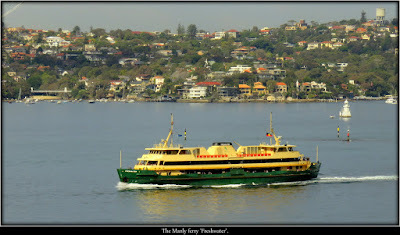 Looking across Mosman to the City of Sydney.